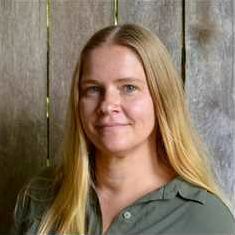 Wendy is a native Virginian who grew up in Hampton Roads Virginia. She raised three children, her son Jarad, 22 stationed in Norfolk Navy, her daughter Jacquelyn, 19 year getting ready for college, and Henry her 11-year-old son who is in middle school. Her children also grew up in Hampton Roads Virginia. Wendy has been helping people look for their dream homes, investment properties or building one from the ground up. She finds it very rewarding helping people and raising her children where she grew up. Since most of her family is in central Virginia, she decided to take a leap of faith and leave the city selling real estate for the last several years to the country and start her own farm. Coming from a family that has raised cattle, horses, crops and logged the west coast she was ready to take that chance. She has raised highland cows, horses, and chickens. Turning a little piece of dirt into a place she could have family and friends visit and enjoy nature has been a dream of Wendy's. She has loved the transition as well as her family and dogs. Wendy is ready to use her experience to help others find their land for hunting, farming, recreational or building their dream home.